Madison Coupon Connection: Sentry Deals through tomorrow, 6/15/11! 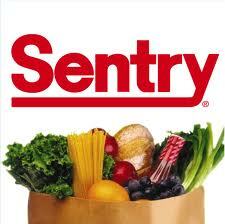 Some of the Sentry Grocery stores in our area allow doubling of coupons on certain days of the week. The doubling policies vary quite a bit from store to store. So, it's always best to check for details at your store's customer service desk. For those of you who do have a Sentry store nearby that doubles coupons, check out the great list of Sentry deals for 6/9 - 6/15, 2011 just posted by Building Shangri-la!